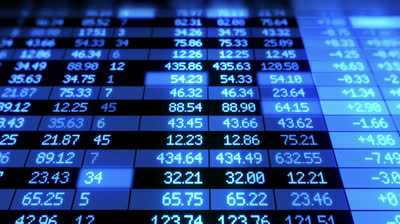 The weekly turnover at the Baku Stock Exchange (BSE) on April 8-11 amounted to 202.8 million manats, Trend reports referring to the stock exchange. Most of the operations accounted for the placement of notes worth 186.2 million manats of the Central Bank of Azerbaijan (CBA). A total of 1.9 million notes at a price from 99.3053 manats to 101.0231 manats were placed. The volume of trading in bonds in the secondary market amounted to 7.9 million manats. During the week, transactions on the US dollar bonds accounted for $583,500 (992,000 manats), while transactions on the manat bonds accounted for 6.9 million manats. All transactions on the US dollar bonds accounted for Azerbaijan’s state oil company SOCAR and PASHA Bank, while transactions on the manat bonds accounted for Azerbaijan’s Finance Ministry and the Azerbaijan Mortgage and Credit Guarantee Fund. During the last week, transactions on shares worth a total of 31,400 manats were also concluded in the secondary market of the BSE. Repo operations on manat bonds amounted to 8.6 million manats.